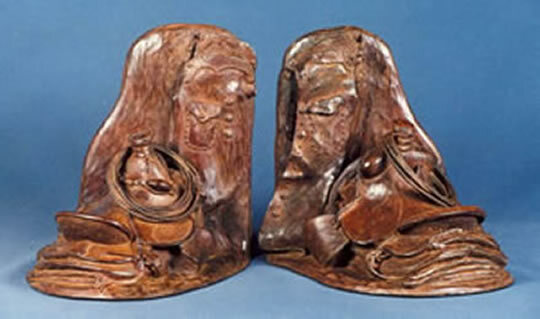 At one time, Bill was planning to be a saddle maker as his life’s vocation. 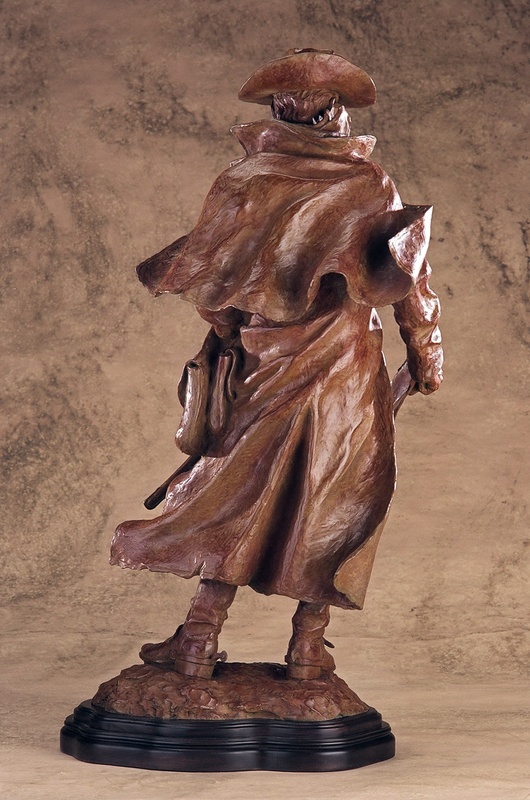 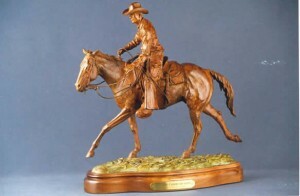 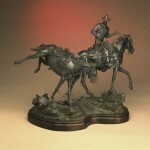 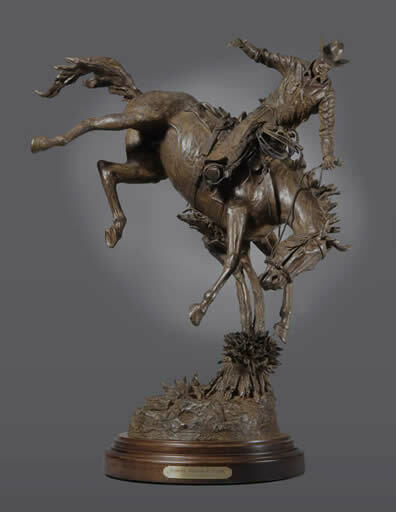 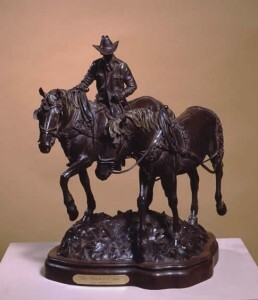 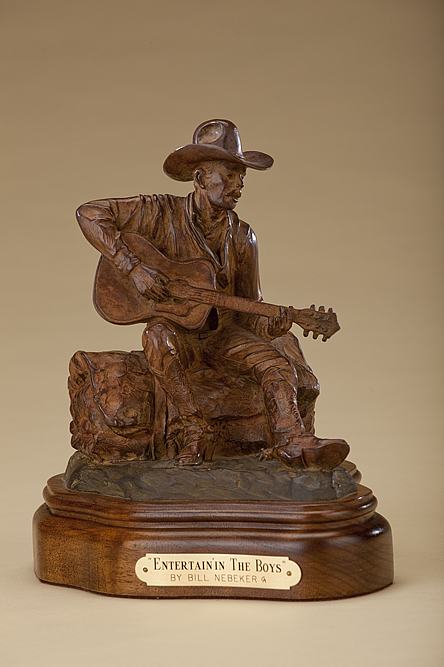 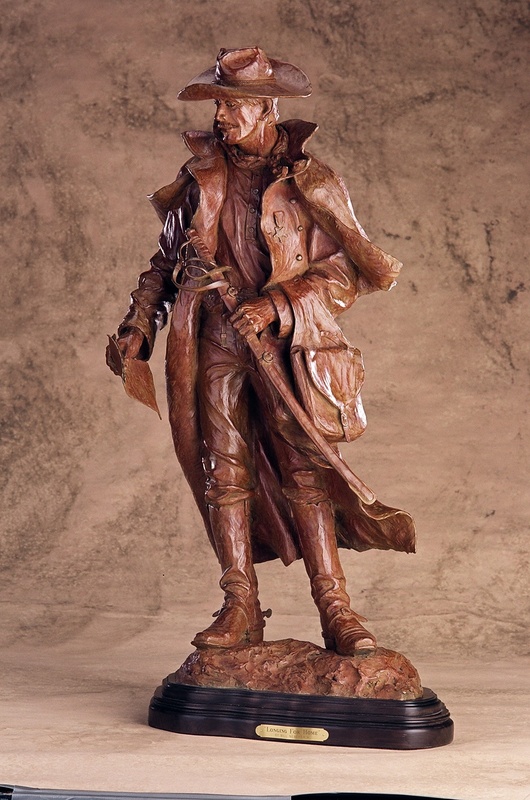 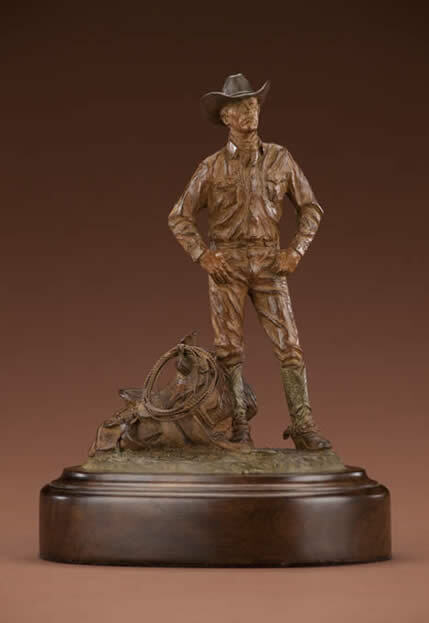 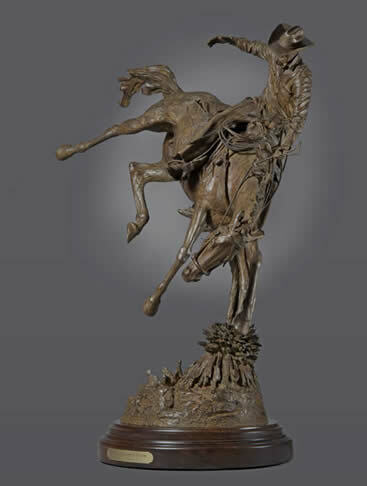 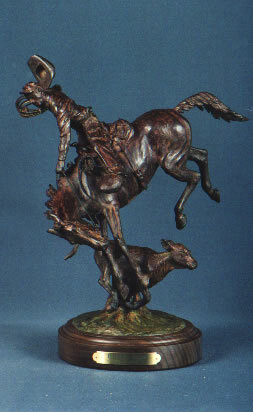 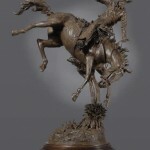 He has probably sculpted over fifty different individual and bookend saddles since 1967, when he made his wife, Merry, the first set of Saddle Bookends. 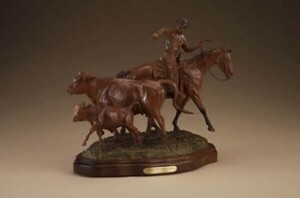 This latest edition of Saddle Bookends depicts one Southwestern style, made from roughtout leather and built-in swells, with a set of long chaps to protect from cactus and high brush. 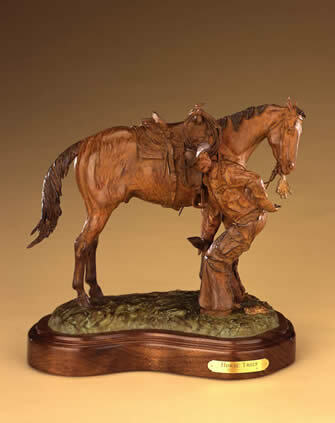 The other saddle is from the Northwest and is called a Buckaroo type with an A Fork and a strapped on bucking roll. 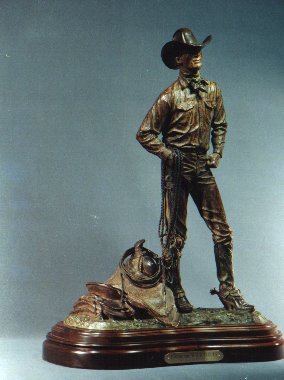 The chaps are short ones called Chinks.